Absolutely adorable home move in ready for you and your family!This cutie sits at the end of a quiet street in a cul-de-sac. The Tuscullum area is just west of I-24 and comes off of Nolensville Road, North of Old Hickory Blvd. The yard slopes away at the back to a small creek at the bottom of the hill. The carpet and HVAC are new so you can just move in and call this place home. 3 Bedrooms and 2 baths are on the main floor. The basement wraps around the bottom and has plenty of room to use as you see fit! There is also walk in storage and a garage. If you're in the Market for Nashville TN Real Estate this is Only $149,950 and the kids can walk to Cole Elementary School! Only minutes to Downtown, Brentwood, the Airport and Cool Springs. If you are a first time home buyer, this home will qualify for the $8000 tax credit that the government is offering as part of the stimulus plan. 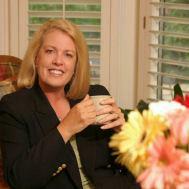 Connie Harveyis a full time Realtor with Prudential Woodmont Realty Group in Brentwood TN. She serves Buyers and Sellers in all of Nashville, Franklin and Brentwood TN. Contact her at 615-661-7800 x 1300 or HarveyC@Realtracs.com.